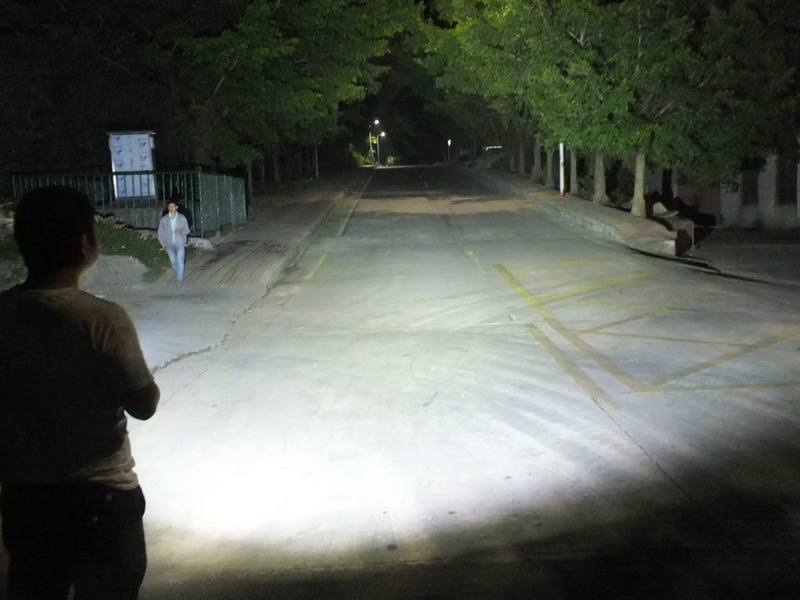 After long-term’s research&development HaikeLite will release 6 brand new LED flashlights in September and October. 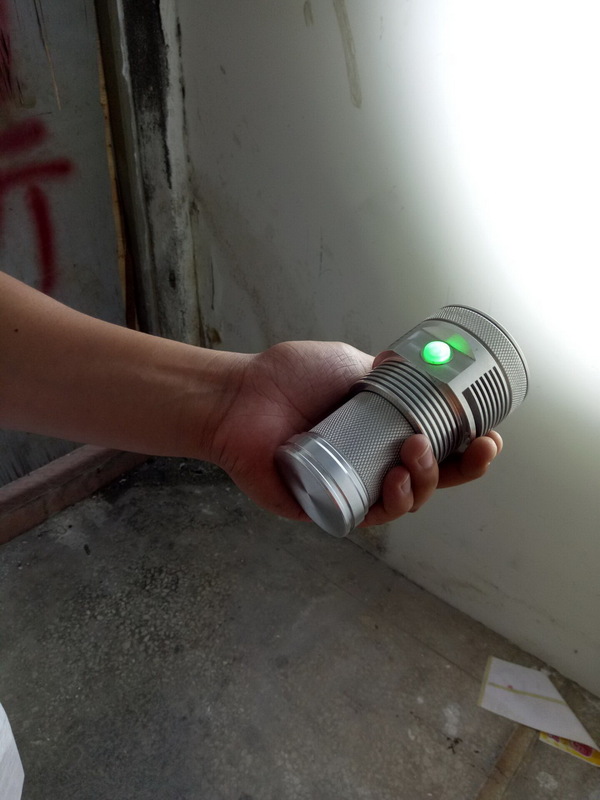 The light have almost finished the QC test. They are very close to mass production. 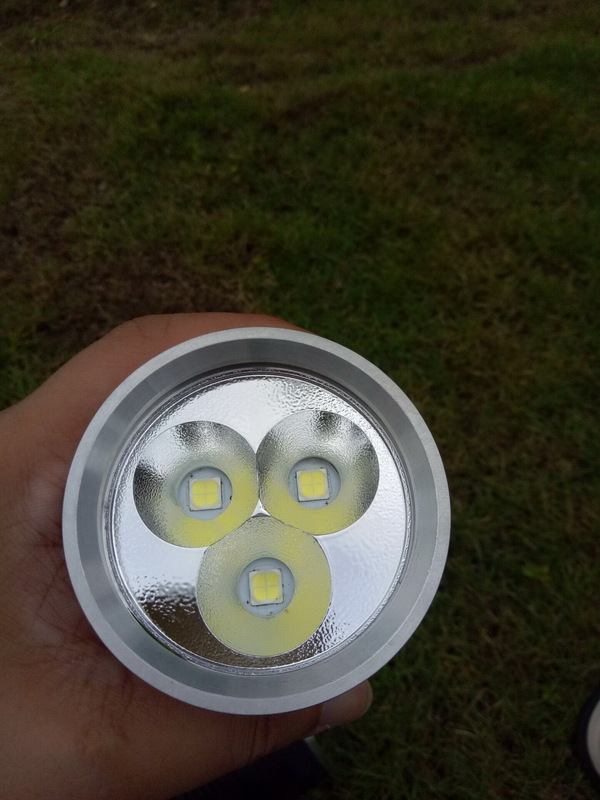 Since the light showed in picture is a prototype sample, Some details are not so perfect. You can notice some sharp edges on it and dirty spots on reflector. We will update new final sample pictures next week. Quick acess to Turbo (Double click in any mode easy to access) ; Turbo can be memorized. Double Sling Holes ; Enable a camera strap to fit this light. Final version will be Blue switch-LED. Would be very reasonable . Some guy in forum will do test review first. Nice design, especially for triple XHP70 version. Looking forward to the price & review. It looks good you are using all custom made parts.I can do the review if you need some one. Looks like a decent light, especially the cooling fins seem great. Can’t wait for real-world experiences and user feedback. 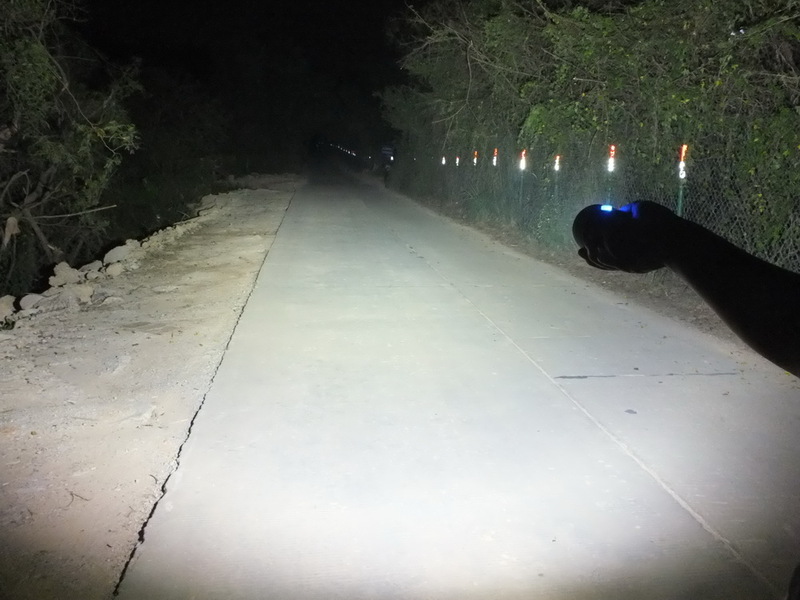 Both new lights looking very good, I`m interested if the price is hot! 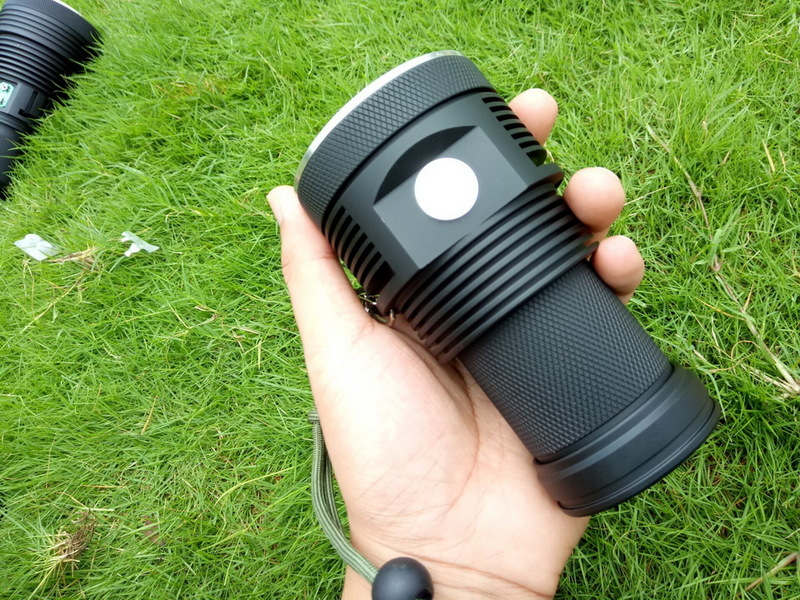 Why 8500 lumens and not MOARRR?? Interested to see reviews and a price. Looks good so far. Will the leds be mounted on DTP copper stars? The triple XHP 70 looks great. Edit: just saw where that was posted in the OP, I completely missed that to begin with. Yep, this one I’ll follow closely with great interest! Whats the longer light with the rectangular double button switch? 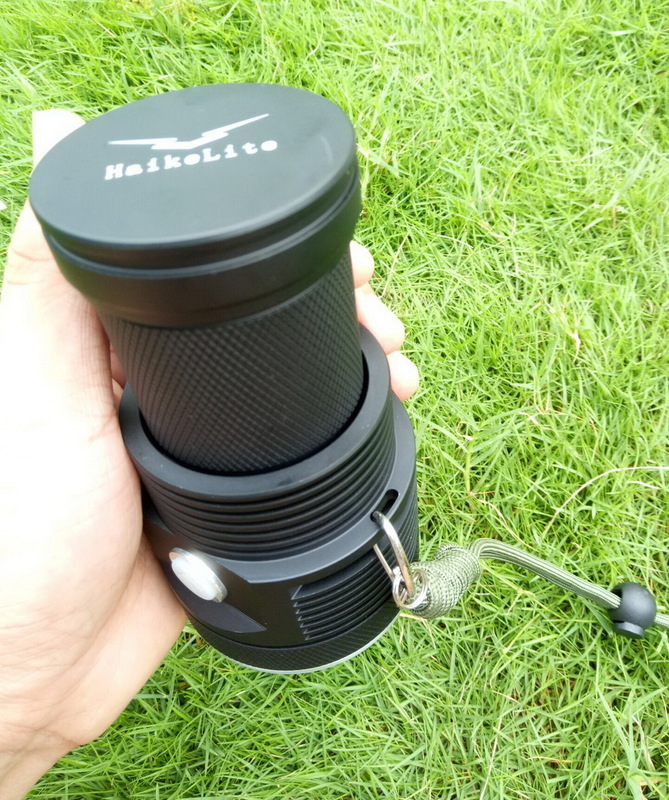 It is HaikeLite’s longer light with the rectangular double button switch. I think you need to have your light different than all others….. And that’s to not have hidden turbo. You should change your ui so that turbo can be memorized also. So that turbo can turbo can turn on with a single click. You can keep double click to turbo. 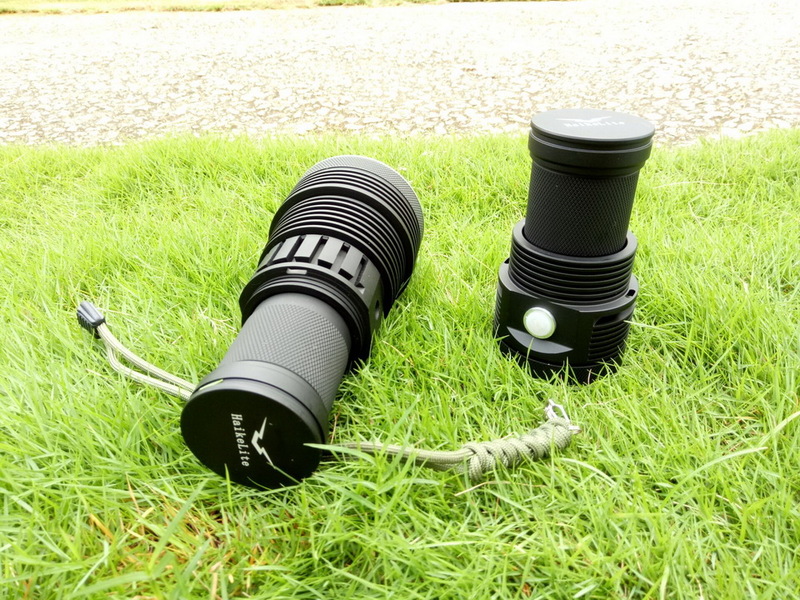 This would really differ you from all other high output lights out there! 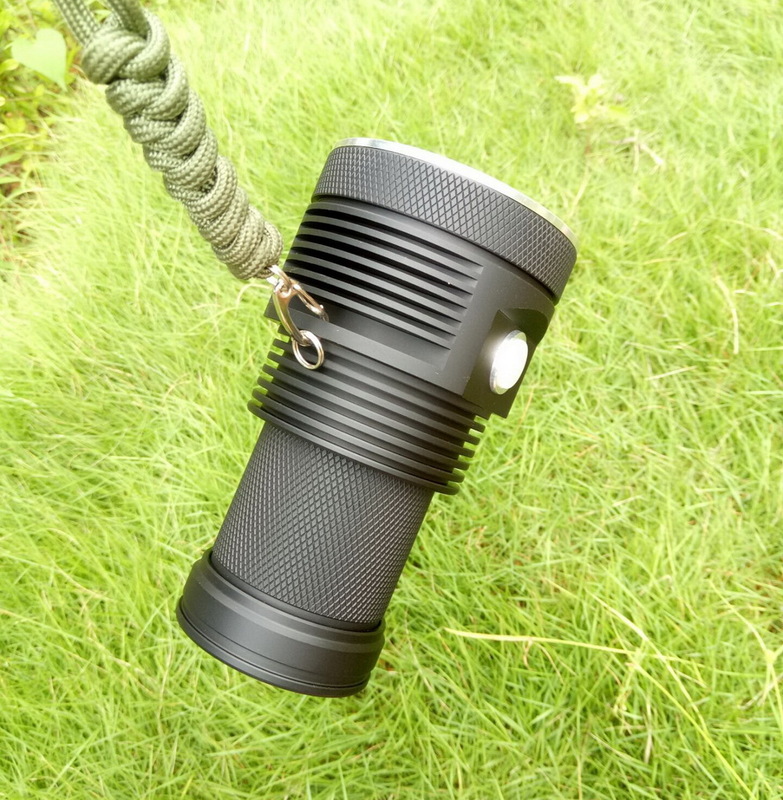 10 000lm for such a small-size light is too hot. It gets really hot in 1-2 minutes. Deeper reflector will increase the size, 130mm is very handy. I think you need to have your light different than all others….. And that’s to not have hidden turbo. You should change your ui so that turbo can be memorized also. So that turbo can turbo can turn on with a single click. You can keep double click to turbo. 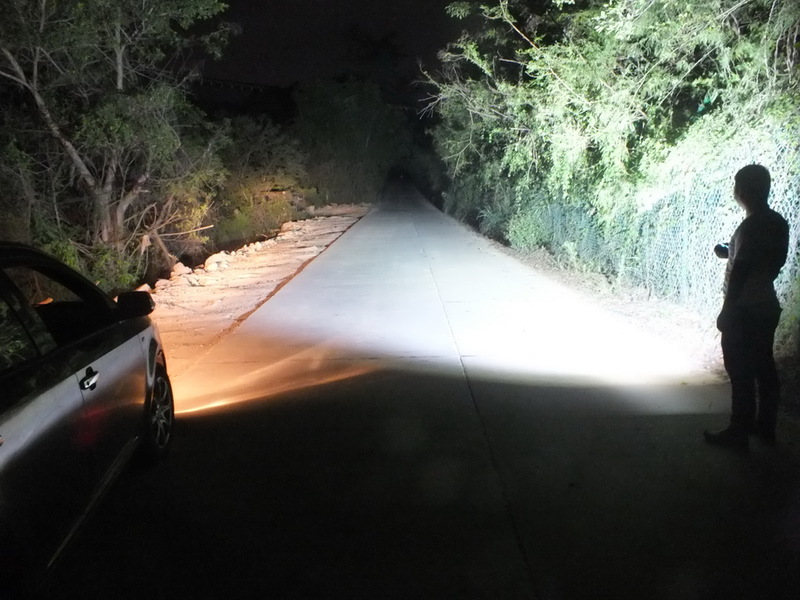 This would really differ you from all other high output lights out there! Got your points. One-click to turbo seems like a good idea. 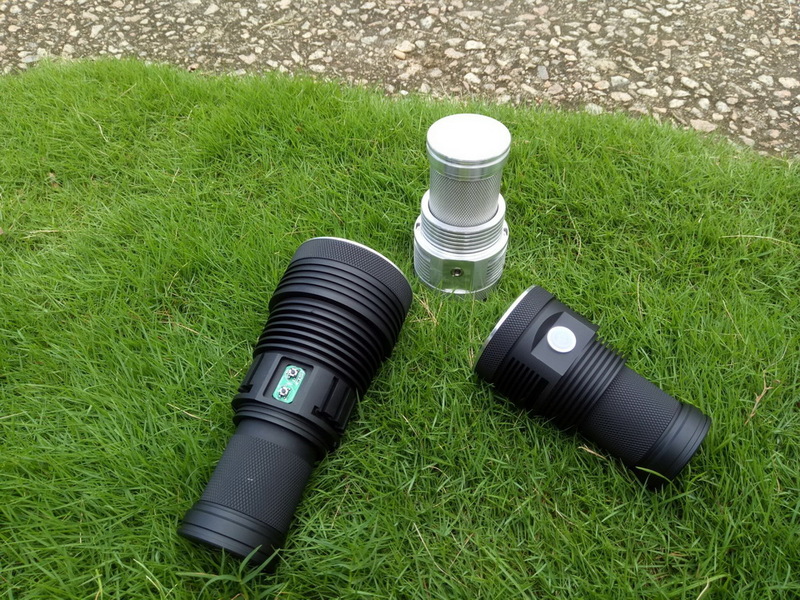 The flashlight drivers are already in stock, So UI can not be changed in this batch. 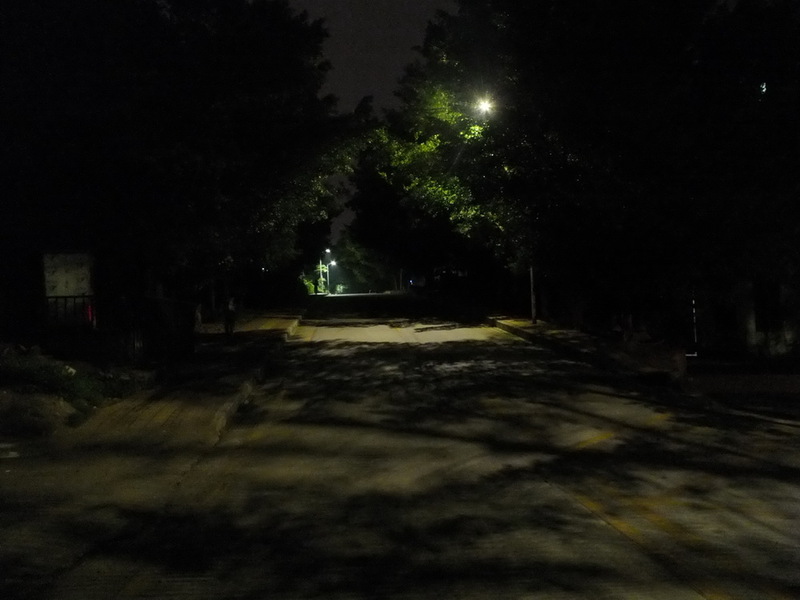 High mode-2000+lumens is a nice daily-use mode. I myself prefer the pure flood as it is more useful for me. I would rather be able to see a large area immediately in front of me than a small area several hundred yards away. Please let us know when and if your company does decide to have one click turbo. How many people want one-click-turbo? Well i personally agree with all the choices you made. Small, 4×18650, ultra bright, shortcut to moonlight and turbo. Why do you need to be able to one click to turbo? Just double click? 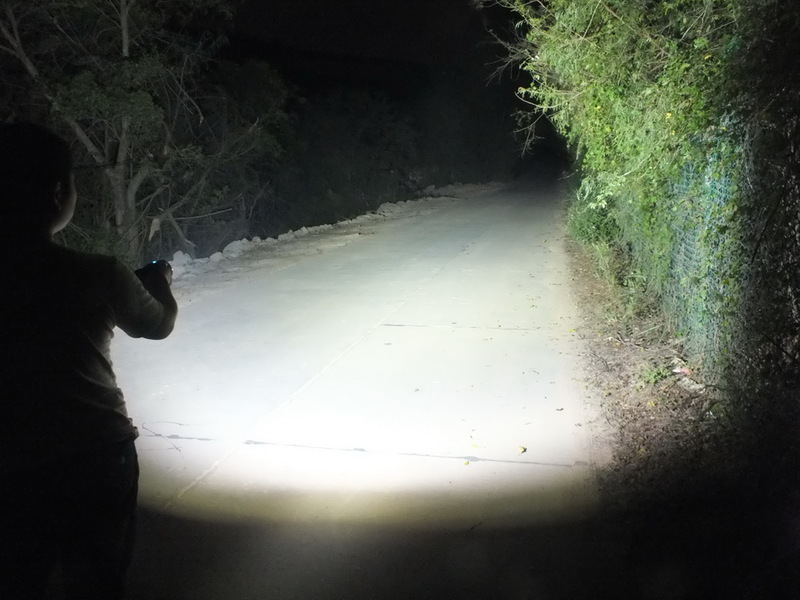 For normal uses 2000 lumens is what you would need. 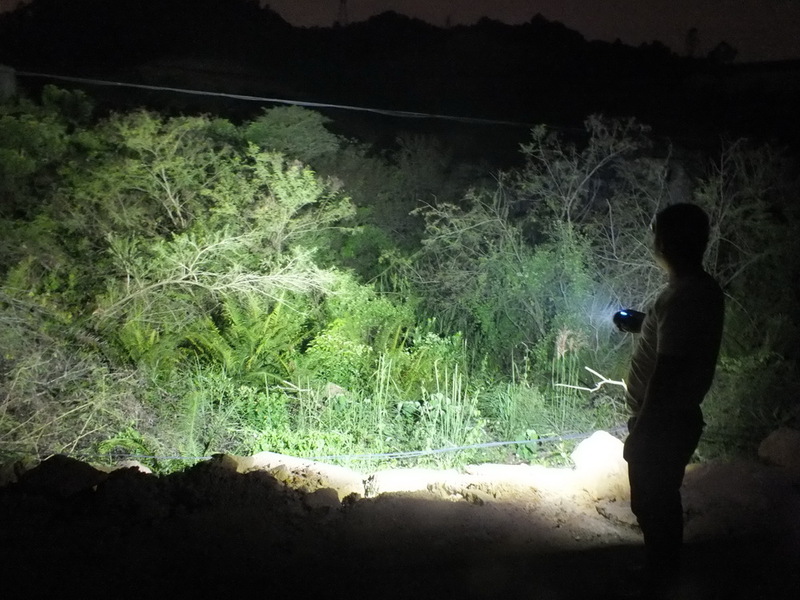 I wouldnt want to be flashed with 8000 lumens accidently.